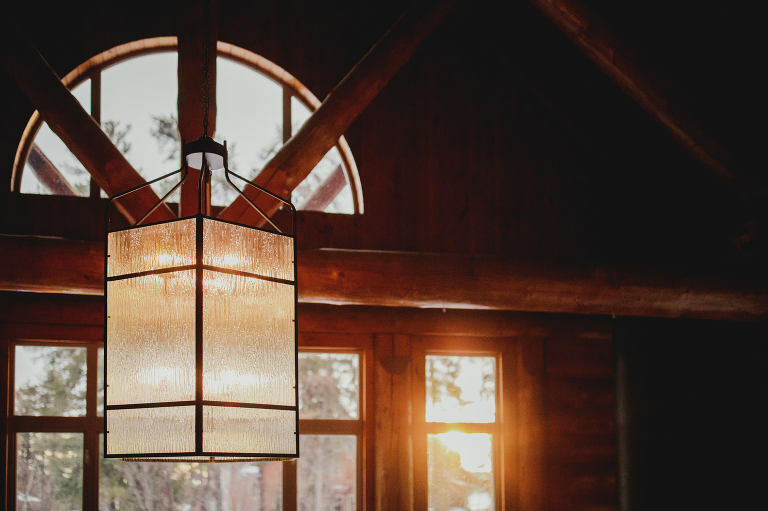 Winter weddings can be gorgeous, if unpredictable. Will it snow? Or will the snow hold off, leaving a landscape of muddy browns and greys? Will I be shooting with numb fingers in -30 C (that’s -22 Fahrenheit for all my friends down south), or with frozen feet if it rains? 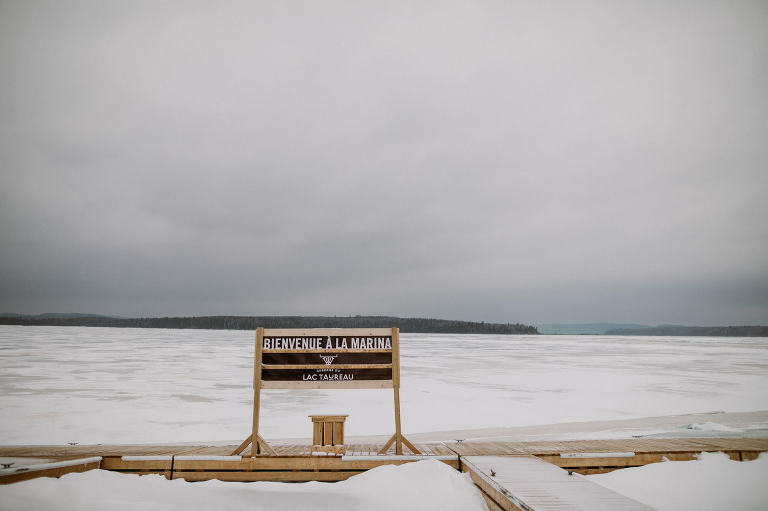 Leading up to Kelley and Benjamin’s wedding, the province of Quebec was breaking records for its cold weather streak. Plummeting temperatures had some cities literally colder than the North Pole. As the wedding date got closer and closer there were definitely some anxious moments, especially because these guys all wanted at least a few photos in and around the beautiful lake. All that weather talk aside, the most important thing I’ve realized over the years is that when it comes to wedding photography, there is one and only one thing that matters. It’s not the venue. It’s not the weather. It doesn’t even really matter if the wedding is big or small. What matters most is the couple. You could have a wedding in your grandma’s basement, and if the bride and groom are awesome I could still get some absolutely incredible photos. If, on the other hand, I find myself on top of Everest with a couple that doesn’t love each other, the pictures are going to feel empty despite the jaw-dropping surroundings. What I’m saying is, the best photos are ones that capture a real connection between two people. 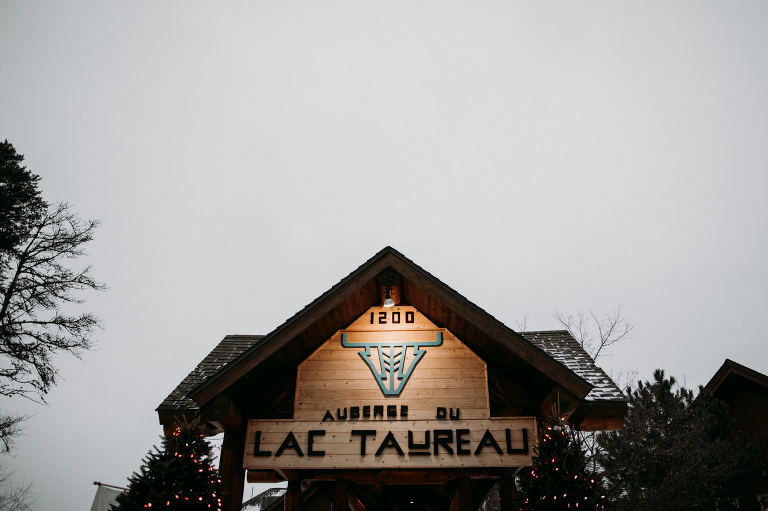 Auberge du Lac Taureau is a gem of a getaway in Quebec. I drove in the day before from Montreal with Kelly’s family and we had a blast on the way there – even though we almost crashed when the car spun out of control, luckily our driver got us back on track. That was definitely a moment I’ll never forget! After that close call it was like we realized we had another shot at life, so we just soaked it all in. We partied it up in one of the four jacuzzis on the property, and everyone was getting pumped for the wedding day. 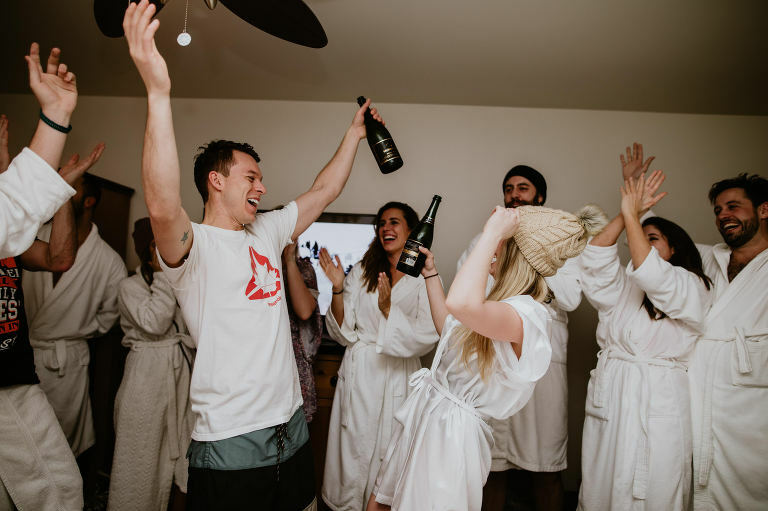 Everybody in robes, we were served champagne in Banjamin’s room. 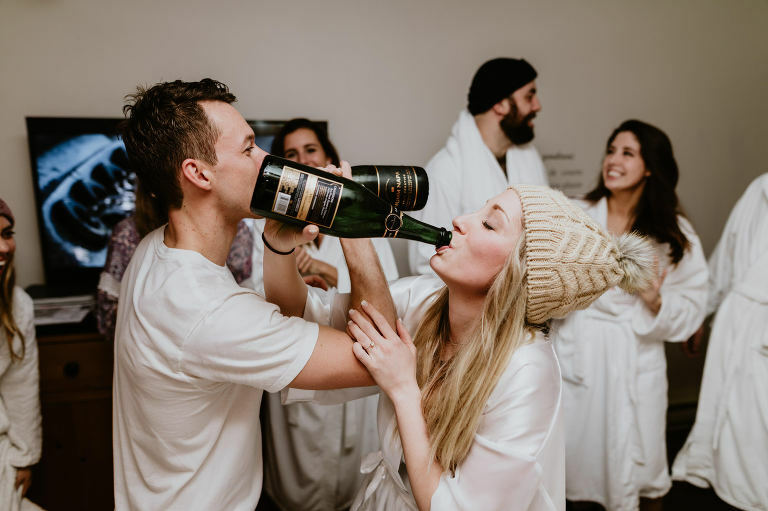 It was an epic pre-wedding party. I love being able to get up on the wedding day and just walk to work. From the moment I get up to the minute I go to bed, my goal is to step into the shoes of a guest. Live the day as one of them. You’ll see photos of families playing hockey in the morning, people walking the hallways, catching up with relatives. It’s all part of the big day, and I try to include as many of these small details as possible when I travel for a wedding. I usually go for a walk to free my mind and get ready to experience what is to come. What came was an epic day I’ll never forget. There was yet another epic first look like the one at Brit and Alain’s wedding. And hey! PPlease check out the vendor links below, we had an incredible team out there and I’m so proud to be showing some of their work.